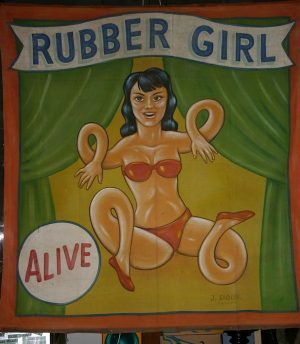 Antique sideshow Rubber Girl freak banner measuring 88″ x 92″, signed by Sigler. 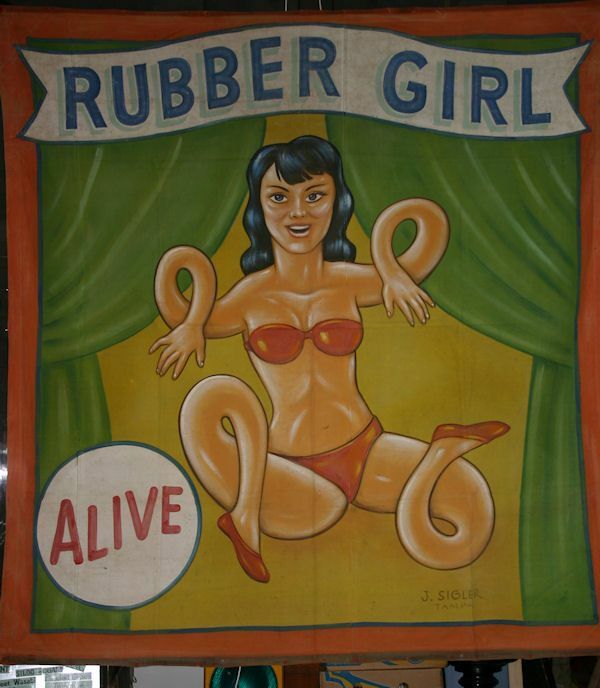 As found condition with brght colors. Canvas in nice condition……….